If you love playing games on your devices and also you are selective and value the time you spare to play these games then you should be informed of all sources that might be a use for you and I will be listing them as to my best knowledge and there are others of course worth to look in detail and may be more search required as some of the legendary sources similar to ZodTTD is not well known actually very little is disclosed about them but their quality gamers hit iOS apps are very popular. Nearly all iPhone or iPad owners played the free games of Candy Crush Saga, Flappy Bird or Angry Birds. There are very cool games that you may not be able to find on Apple Store this is why we look into these specific content sources in Cydia for Gamers and Game hacks and treats are also available for interested gamers. The sources are great base to find the games you need and on the other hand they turn your device into a emulator, once installed your device is an emulator and you can download the ROM packages and start playing the unlimited games. iHacksRepo is one of the main repo sources of Cydia in the categories of tweaks, games and apps provided. They are well know because of the app Zeusmus which had been very popular for so long. iHacksRepo had been popular amongst jailbreakers and visited by many users daily, apps are being updated time to time as required and latest versions can be downloaded. If the following games interests you then the download of this source will be a must, Doodle Jump Hack, Gangstar 3 IDA, GTA 3 Health Hack, Angry Birds Hack, Modern Combat 3 IDA Hack. xSellize is one of the most wanted Cydia repos . I am pretty sure all of you are aware of this repo by now but discussing the well-known features will not be harmful. Thjey host very good games, apps and tweaks with exception of offering the old style games from 80s and 90s where most of us has a memory with them. You can download the games of Nintendo 64, Sega Genesis, NES, Game Boy Advance, NeoGeo, TurboGrafx-16, Mega Drive on your phone now and play them by going back in years with using the latest technology handset you possess. From establishment to today’s Cydia iPhoneCake had not lost its charm and still one of the best rated source in Cydia, they have really a huge range of apps, games and tweaks but what makes the iPhoneCake amazing is what you can do with the app AppCake which enables users to download the paid games for free in Apple Store, this is a perfect reason to download the source on your device. Hocus, Plague Inc, PewDiePie, MineCraft, Call of Duty: Black Ops Zombies, Infinity Blade II, and other premium games can be download for free with AppCake. Even at stages that there has been no way of publishing iOS games and apps publicly ZodTTD has been doing that and they have a long history with developing the iOS software, they made fame about introducing the PlayStation games to play on iPhone and iPads. ZodTTD is the default source in Cydia available in iOS 7 jailbreak, but this repo needs to be installed manually if not found in iOS Device. 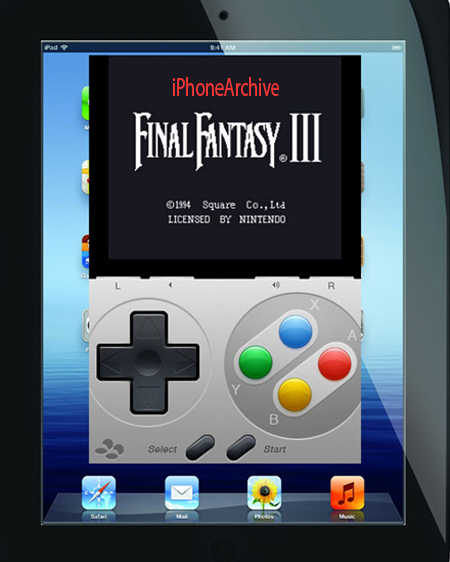 Also emulators of snes4iPhone, nes4iPhone, VLC4iPhone, gpSPhone, Quake4iPhone, Doom, NES, Super NES, and Nintendo are available in this repo, also to mention they work on iOS 6, iOS 7, iOS8 + versions.